Donald David Newman (November 22, 1957 – September 11, 2018) was an American professional athlete in basketball and Canadian football. Following his playing career, he was the head basketball coach at Arizona State for the 1997–98 season, and Sacramento State from 1992 to 1997. He also was an assistant coach in the NBA with the New Jersey Nets, San Antonio Spurs, and Washington Wizards. Canadian football is a sport played in Canada in which two teams of 12 players each compete for territorial control of a field of play 110 yards (101 m) long and 65 yards (59 m) wide attempting to advance a pointed oval-shaped ball into the opposing team's scoring area. The Arizona State Sun Devils men's basketball team is the basketball team that represents Arizona State University in Tempe, Arizona, United States. The school's team currently competes in the Pac-12 Conference. 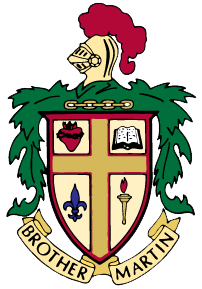 Brother Martin High School is an all-male, Catholic, college preparatory school located in New Orleans, Louisiana, United States operated by the Brothers of the Sacred Heart. It was established in 1869 by the Brothers of the Sacred Heart, establishing the school as St. Aloysius College. It is located in the Roman Catholic Archdiocese of New Orleans. 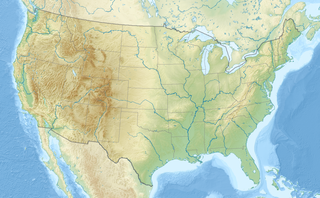 Louisiana State University is a public research university in Baton Rouge, Louisiana. 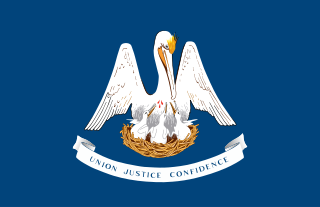 The university was founded in 1853 in what is now known as Pineville, Louisiana, under the name Louisiana State Seminary of Learning & Military Academy. The current LSU main campus was dedicated in 1926, consists of more than 250 buildings constructed in the style of Italian Renaissance architect Andrea Palladio, and occupies a 650-acre (2.6 km²) plateau on the banks of the Mississippi River. Baton Rouge is the capital of the U.S. state of Louisiana. Located on the eastern bank of the Mississippi River, it is the parish seat of East Baton Rouge Parish, the most populous parish in Louisiana. It is the 99th most populous city in the United States, and second-largest city in Louisiana after New Orleans. It is also the 16th most populous state capital. As of the U.S. Census Bureau's July 2017 estimate, Baton Rouge had a population of 227,549, down from 229,493 at the 2010 census. Baton Rouge is the center of Greater Baton Rouge, the second-largest metropolitan area in Louisiana, with a population of 834,159 as of 2017, up from 802,484 in 2010 and 829,719 in 2015. The LSU Tigers basketball team represents Louisiana State University in NCAA Division I men's college basketball. The Tigers are currently coached by interim head coach Tony Benford. They play their home games in the Pete Maravich Assembly Center located on the LSU campus in Baton Rouge, Louisiana. The team participates in the Southeastern Conference. After sitting out a year due to transfer rules, Newman played for the Idaho Vandals from 1978 to 1980 under new head coach Don Monson. Following five consecutive years in the Big Sky cellar, Idaho rose to second place in the conference standings in Newman's senior season and qualified for the four-team conference tournament for the first time;   he was a unanimous first team all-conference selection. Prior to his senior year, Newman was selected in fourth round of the 1979 NBA draft by the Indiana Pacers;  then was taken in the third round in 1980 by the Boston Celtics. Veteran guard Nate Archibald was a holdout during training camp, but after he agreed to terms in October,  Boston head coach Bill Fitch cut Newman two days before their first regular season game;    the Celtics went on to win the NBA title that season. The Idaho Vandals men's basketball team represents the University of Idaho, located in Moscow, Idaho, in NCAA Division I basketball competition. They currently compete in the Big Sky Conference. The Vandals are currently coached by Don Verlin and play their home games on campus at the Cowan Spectrum (7,000) at the Kibbie Dome; the Memorial Gym is the alternate venue. The university is preparing to build the new Idaho Central Credit Union Arena; when the 4,200-seat venue opens in 2021, the men's basketball team, as well as the women's basketball and volleyball teams, will move to the new facility. The 1979–80 Idaho Vandals men's basketball team represented the University of Idaho during the 1979–80 NCAA Division I men's basketball season. The Vandals were led by second-year head coach Don Monson and played their home games on campus at the Kibbie Dome in Moscow, Idaho. Donald Lloyd Monson is a former college basketball head coach and the father of head coach Dan Monson. He was a high school head coach for 18 seasons and college head coach for 14 seasons: five at Idaho and nine at Oregon. He was selected by his peers as the national coach of the year in 1982. Monson spent 1993 in Australia, coaching the Adelaide 36ers of the National Basketball League. A center fielder, abbreviated CF, is the outfielder in baseball who plays defense in center field – the baseball and softball fielding position between left field and right field. In the numbering system used to record defensive plays, the center fielder is assigned the number 8. The Idaho Vandals baseball team was the varsity intercollegiate baseball team of the University of Idaho, located in Moscow, Idaho. The Seattle Seahawks are a professional American football franchise based in Seattle, Washington. The Seahawks compete in the National Football League (NFL) as a member club of the league's National Football Conference (NFC) West division. They joined the NFL in 1976 as an expansion team. The Seahawks are coached by Pete Carroll. Since 2002, they have played their home games at CenturyLink Field, located south of downtown Seattle. They previously played home games in the Kingdome (1976–1999) and Husky Stadium. The Battle of the Palouse refers to an athletic rivalry in the northwest United States, between the Vandals of the University of Idaho and Cougars of Washington State University. The Idaho Vandals are the college football team that represents the University of Idaho and plays its home games at the Kibbie Dome, an indoor facility on campus in Moscow, Idaho. Idaho is a member of the Big Sky Conference in the Football Championship Subdivision (FCS). The current head coach is Paul Petrino, who began his tenure in 2013. Wayne Delbert Anderson was an American college basketball coach, the head coach for eight seasons at the University of Idaho, his alma mater. He was also the head baseball coach at Idaho for nine seasons, and the assistant athletic director for fifteen years. The 1978 Idaho Vandals football team represented the University of Idaho in the 1978 NCAA Division I-AA football season. The Vandals were led by new head coach Jerry Davitch and were members of the Big Sky Conference. They played their home games at the Kibbie Dome, an indoor facility on campus in Moscow, Idaho. Davitch was previously an assistant at the Air Force Academy for five seasons under longtime head coach Ben Martin, preceded by four years as a high school head coach in Tucson, Arizona. The 1963 Idaho Vandals football team represented the University of Idaho in the 1963 NCAA University Division football season. The Vandals were led by second-year head coach Dee Andros and were an independent in the NCAA's University Division. Three home games were played on campus at Neale Stadium in Moscow, with one in Boise at old Bronco Stadium at Boise Junior College. The 1974 Idaho Vandals football team represented the University of Idaho in the 1974 NCAA Division I football season. The Vandals were led by first-year head coach Ed Troxel and were members of the Big Sky Conference, then in Division II. They played their home games at new Idaho Stadium, an unlit outdoor facility on campus in Moscow, Idaho. The 1973 Idaho Vandals football team represented the University of Idaho in the 1973 NCAA Division I football season. The Vandals were led by fourth-year head coach Don Robbins and were members of the Big Sky Conference, then in Division II. They played their home games at new Idaho Stadium, an unlit outdoor facility on campus in Moscow, Idaho. The 1972 Idaho Vandals football team represented the University of Idaho in the 1972 NCAA University Division football season. The Vandals were led by third-year head coach Don Robbins and were members of the Big Sky Conference. They played their home games at new Idaho Stadium, an unlit outdoor facility on campus in Moscow, Idaho. The 1970 Idaho Vandals football team represented the University of Idaho in the 1970 NCAA University Division football season. The Vandals were led by first-year head coach Don Robbins and were members of the Big Sky Conference, then in the college division of the NCAA. Without a usable stadium on their Moscow campus for a second year, they played their home games at Rogers Field at Washington State University in Pullman, Washington. The 1957 Idaho Vandals football team represented the University of Idaho in the 1957 NCAA University Division football season. The Vandals were led by fourth-year head coach Skip Stahley and were members of the Pacific Coast Conference. Home games were played on campus at Neale Stadium in Moscow, with one home game in Boise at old Bronco Stadium at Boise Junior College. Led on the field by quarterbacks Howard Willis and Gary Kenworthy, Idaho compiled a 4–4–1 overall record and were 0–3in the PCC. The 1928 Idaho Vandals football team represented the University of Idaho in the 1928 college football season. The Vandals were led by third-year head coach Charles Erb and were in their seventh season in the Pacific Coast Conference. Home games were played on campus in Moscow at MacLean Field. Idaho compiled a 3–4–1 overall record and went 2–3 in conference games. The 1929 Idaho Vandals football team represented the University of Idaho in the 1929 college football season. The Vandals were led by first-year head coach Leo Calland and were in their eighth season in the Pacific Coast Conference. Home games were played on campus in Moscow at MacLean Field. Idaho compiled a 4–5 overall record and went 1–4 in conference games. John G. Smith was an American college baseball coach, the head coach at the University of Idaho for fourteen seasons. He also coached football and basketball. The 1958 Idaho Vandals football team represented the University of Idaho in the 1958 NCAA University Division football season. The Vandals were led by fifth-year head coach Skip Stahley and were members of the Pacific Coast Conference, which disbanded the following spring. Home games were played on campus at Neale Stadium in Moscow, with one home game in Boise at old Bronco Stadium at Boise Junior College. The 1950 Idaho Vandals football team represented the University of Idaho in the 1950 college football season. The Vandals were led by fourth-year head coach Dixie Howell and were members of the Pacific Coast Conference. Home games were played on campus at Neale Stadium in Moscow, with one game in Boise at old Bronco Stadium at Boise Junior College, the season opener at the new venue. The 1992–93 Idaho Vandals men's basketball team represented the University of Idaho during the 1992–93 NCAA Division I men's basketball season. Members of the Big Sky Conference, the Vandals were led by third-year head coach Larry Eustachy and played their home games on campus at the Kibbie Dome in Moscow, Idaho. ↑ Longman, Jere. "BASKETBALL; New Coach Wades Into Arizona State Maelstrom" . Retrieved 12 September 2018. ↑ McDonald, Jeff (September 12, 2018). "Former Spurs assistant Don Newman dies". San Antonio Express-News. (Texas). Retrieved October 8, 2018. 1 2 3 Vangilder, Lenny (September 13, 2018). "Former Brother Martin standout, longtime coach Don Newman dies at 60". Crescent City Sports. (New Orleans, Louisiana). Retrieved October 8, 2018. 1 2 3 4 5 Yamaguchi, Andy (February 6, 1980). "He left his blue bayou behind". Spokesman-Review. (Spokane, Washington). p. C2. 1 2 Smith, Marlin (March 2, 2004). "The Monson Era". VandalVenue.net. Scout Media. Archived from the original on January 18, 2005. ↑ Missildine, Harry (January 14, 1979). "Twice over lightly". Spokesman-Review. (Spokane, Washington). p. C1. ↑ "Basketball". Gem of the Mountains, University of Idaho yearbook. 1980. p. 21, part 2. ↑ "Vandals drub NAU". Spokesman-Review. (Spokane, Washington). February 24, 1980. p. C1. ↑ "College standings". Lewiston Morning Tribune. (Idaho). March 3, 1980. p. 4C. ↑ "Neman named All Big Sky". Lewiston Morning Tribune. (Idaho). March 6, 1980. p. 3C. ↑ "Collins, Newman picked for Big Sky All-Stars". Spokesman-Review. (Spokane, Washington). Associated Press. March 6, 1980. p. 25. ↑ "Intercollegiate athletics". Gem of the Mountains, University of Idaho yearbook. 1980. p. 22, part 4. ↑ "Collins is drafted by Atlanta Hawks". Spokane Daily Chronicle. (Washington). June 10, 1980. p. 25. ↑ "Celtics sign Tiny Archibald". Nashua Telegraph. (New Hampshire). UPI. October 7, 1980. p. 17. ↑ "Celtics cut Newman". Spokane Daily Chronicle. (Washington). UPI. October 9, 1980. p. 38. ↑ "Ex-Vandal cut". Spokesman-Review. (Spokane, Washington). Associated Press. October 9, 1980. p. 40. 1 2 Emerson, Paul (August 2, 1981). "A change of sports". Lewiston Morning Tribune. (Idaho). p. 7C. ↑ "Vandals sweep into first place". Lewiston Morning Tribune. (Idaho). April 8, 1979. p. 1B. ↑ "Vandal Athletics Hall of Fame Class of 2018". University of Idaho Athletics. July 2, 2018. Retrieved October 8, 2018. ↑ "Don Newman passes at 60". University of Idaho Athletics. September 13, 2018. Retrieved October 8, 2018. ↑ Blanchette, John (July 20, 1981). "New allegiances, same dream for Newman". Spokesman-Review. (Spokane, Washington). p. 13. ↑ Blanchette, John (January 26, 1983). "Oh Canada? Two anthems, two sports for Newman". Spokesman-Review. (Spokane, Washington). p. C1. ↑ "Don Newman Statistics". JustSportsStats.com. Retrieved 12 September 2018. 1 2 Wilson, Bernie (November 4, 1987). "Newman finds Pullman move short and easy". Spokesman-Review. (Spokane, Washington). Associated Press. p. D4. ↑ "Spurs notebook: Former assistant Don Newman dies". San Antonio Express-News. 12 September 2018. Retrieved 13 September 2018. 1 2 Bock, Hal (November 26, 1997). "Well-traveled Newman has Arizona State in NIT semifinals". Associated Press. Retrieved November 16, 2014. ↑ "Don Newman basketball camp registration begins". Idahonian. (Moscow). January 3, 1987. p. 18. ↑ Kearney, Trevor (March 19, 1998). "Newman will rise; he has before". Moscow-Pullman Daily News. (Idaho-Washington). p. 1C. 1 2 3 "ASU Appoints Don Newman as Interim Basketball Coach". Arizona State Sun Devils. September 22, 1997. Retrieved November 16, 2014. ↑ "Don Newman". Oregon Ducks. Archived from the original on July 22, 2001. 1 2 "Don Newman Coaching Record". Sports-reference.com. Archived from the original on 2014-11-29. Retrieved 13 September 2018. ↑ "Don Newman Coaching Record". College Basketball. Sports-Reference.com. Retrieved 12 September 2018. ↑ "Frieder resigns at ASU". Arizona Daily Wildcat. September 11, 1997. Retrieved November 16, 2014. ↑ Reisner, Mel (September 23, 1997). "Former Vandal Don Newman tabbed by ASU". Moscow-Pullman Daily News. (Idaho-Washington). Associated Press. p. 1B. ↑ "Don Newman". NBA. Retrieved November 16, 2014. ↑ "Spurs Name Don Newman Assistant Coach". San Antonio Spurs. June 28, 2004. Retrieved November 16, 2014. ↑ Wang, Gene (July 9, 2012). "Wizards add Don Newman to coaching staff". Washington post. ↑ Meehan, Jim (September 13, 2018). "Idaho Vandals Hall of Fame basketball player Don Newman dies at age 60". Spokesman-Review. (Spokane, Washington). Retrieved October 8, 2018. ↑ "Spurs notebook: Former assistant Don Newman dies". expressnews.com. 12 September 2018. Retrieved 13 September 2018. ↑ "Don Newman, who coached at Sac State in 1990s before rising to NBA, dies at 60". The Sacramento Bee. September 12, 2018.